This fast-drying Base Coat maintains the beauty of your manicure by providing a proper base for your polish and protects from staining. Dries fast on the nails, but doesn't dry out in the bottle. Prevents nail discoloration from even the darkest of nail polishes. Doesn't make nails thicker (though some people like thick base coats). A logical approach to creating strong, flexible nails based on the science of the natural nail, Poshé uses elements found naturally within the nail plate to nourish and condition - without the use of dehydration techniques. The result is strong, long, natural nails that resist breakage. All Poshé nail care products are DBP, Toluene and Formaldehyde free. Showing 2 of our total 5 reviews, with an average rating of 5 stars. 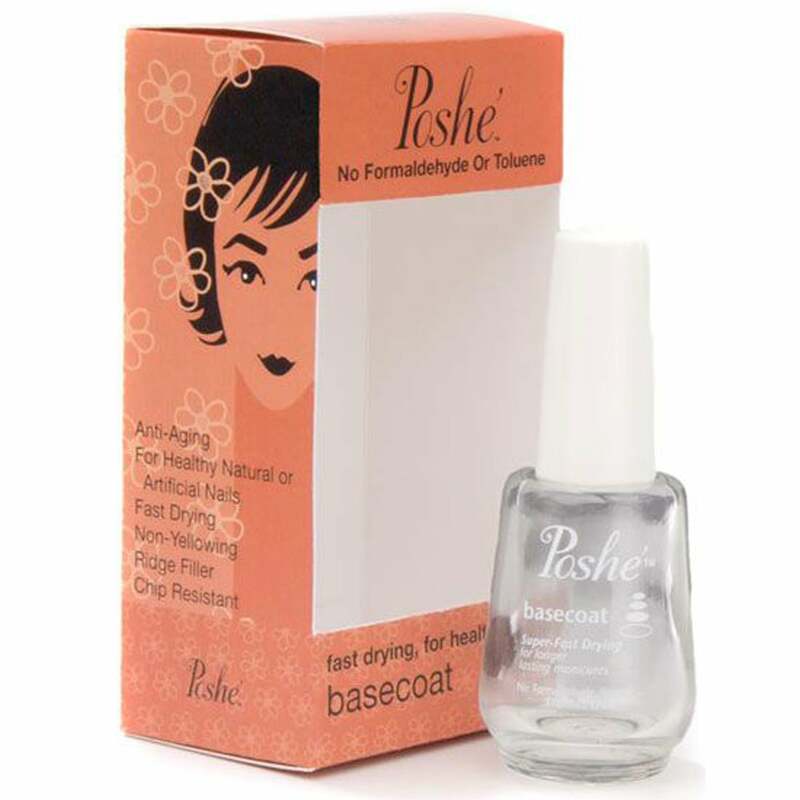 Read all 5 reviews for Poshé Super Fast Drying Base Coat 14ml. It's far superior to any other base coat I've used. Polish stays on all week. Love it! Review - love this product, used it before and very happy with it. Love this product, used it before and very happy with it.